From August this year, a fifth branch of Arun Veterinary Group will be opening in The Strand in Goring for all pet owners in the Worthing area. 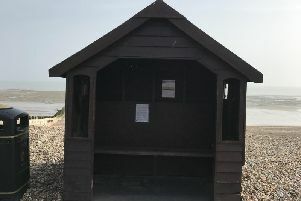 The group said it has many existing clients who live in Worthing and currently travel to one of its other locations in Pulborough, Ashington, Westergate or Storrington. Matt Gittings, Arun Veterinary Group owner, said: “We’re proud they make this choice because of the exceptional level of care they receive, and we’re delighted to be in a position to support them further by extending our family to Worthing so they along with their friends and neighbours can benefit from our family-style practice. We will be welcoming the area’s pets to the new practice by the end of August this year. Matt attributes his clients’ enthusiasm for the Arun Vet Group family to a number of key points – state of the art facilities, remaining independent, continuity of care and trust. He said: “Veterinary ownership is becoming very corporate, with a natural focus on financial return. We’re a proudly independent practice, meaning pets are our only priority. We maintain the freedom to tailor treatment based on the most appropriate course of action while seeking the best possible value for our clients. Like Arun Vet Group’s other sister practices the dedicated Worthing team will be able to undertake a comprehensive range of general practice services, while benefitting from the support of the group’s flagship hospital in Storrington in the case of an emergency or if pets need hospitalisation overnight.